We're now authenticating using Google. This is because of - Getting issue details. I have got it working on my local but the bitbucket pipelines doesn't. Ed, The lack of specifying a branch is indeed a limitation. I have checked out the code from github and fixed it by myself. For example, we use a develop branch for all code that is ready to go out to a staging environment. My previous comments should be ignored, and I have edited them to reflect that. Hence, for all the people who are not familiar with doing the fixes by themselves, it doesn't work. And best of it, you don't have to ad new hooks for new Jenkins projects. You can actually get this to work in Jenkins with the Bitbucket service, but it took some playing around to get it working. If pull request is approved for branch2 then webhook is being triggered. We are upgrading to latest version later this month. We need to trigger a build only when change is pushed to a particular branch say branch3. It's a little unintuitive, but when the BitBucket webhook sends a request to Jenkins, Jenkins will poll for changes on all jobs that reference the BitBucket repo where the change was made. After completing the task, I thought I could share my research and process. You should only need to follow the first 3 steps at this point Creating the Jenkins jobs Finally, it's time to create the jobs in Jenkins. You only have one subscription. Any comments or improvements are always appreciated. You can see payload documentation from BitBucket Your post-build will look like this: On your pipeline job, you should then create a corresponding parameter called payload String type. If your setup doesn't work due to missing plugins, let me know and I'll provide the full plugin list that is running on our Azure installation. Creating a separate user is a workaround, with the caveat that the exposure applies to the separate user's repositories. A change to a branch triggers the build on master and not on the branch. Is there something on the Jenkins side that needs to be enabled other than the Bitbucket plugin? Why can't I have the main plan not trigger automatically but the branch plans trigger automatically, without having to manually update every automatically created branch plan defeating the purpose. 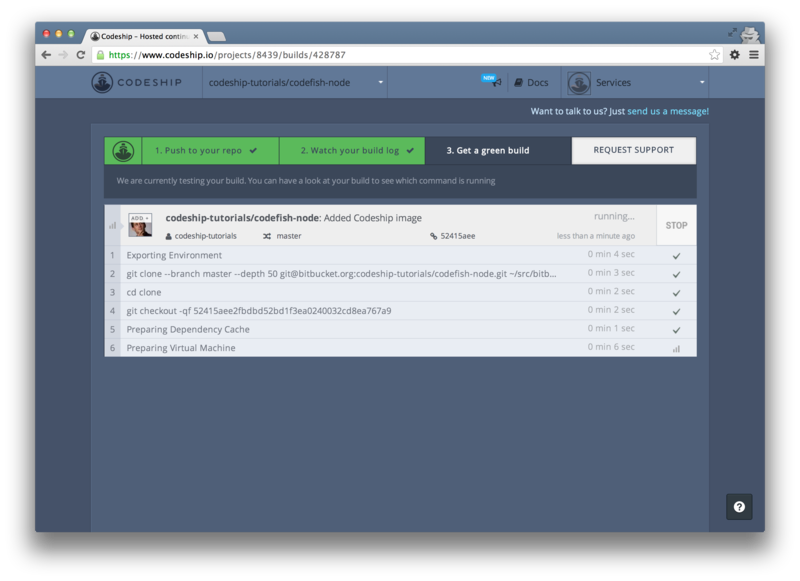 Overview of integrating Bitbucket and Jenkins 1. Currently using Bamboo version 5. You must pay attention to the Branch specifier field and specify the branch that you are pushing to. What all i need to do is to trigger a job when a change is pushed to bitbucket. First, make sure you have plan branches enabled. We did not find a short explanation about configuring Bitbucket with Jenkins. Indexing will poll for changes and automatically trigger builds if changes were pushed. If you're having trouble with getting authenticated for git operations, your best bet would be to contact support by emailing support bitbucket. What is saying that this flow is either to difficult too maintain or leads to potential security issues. However if the authentication process has changed recently I can't tell if we still have a working solution. 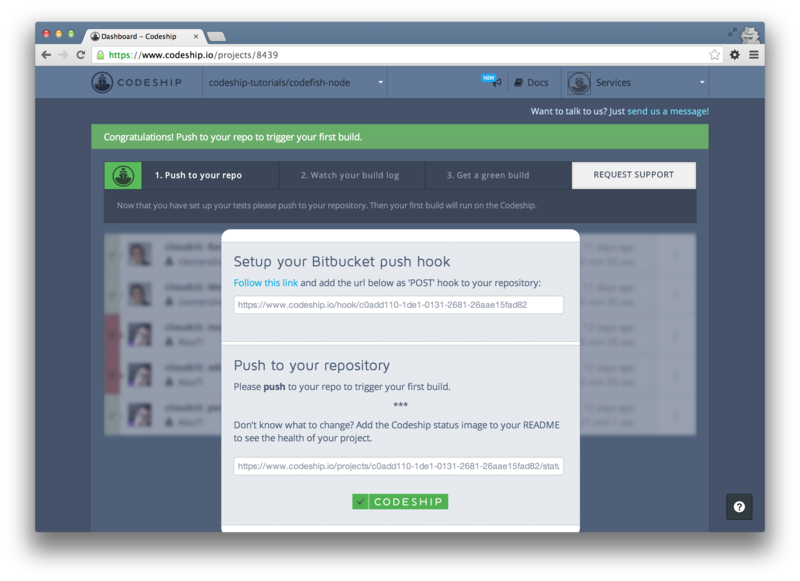 Configure your Jenkins job with Bitbucket repository details Configure Bitbucket Repository under Source Code Management, along with credentials. As AlastairBrayne mentioned, the webhook is there to avoid repository polling. The only workaround I can think of is to have the main trigger track a dummy branch that never changes and poll this, such that branch plans tracking feature branches will poll and find changes. However, we haven't had any reported issues with the Jenkins hook in some time. I do not use webhook, it is not necessary. Build a Docker image Before you can build a Docker image, you need to enable access to the Docker daemon by simply adding the docker: true option to your bitbucket-pipelines. If you have an integration which needs read and write access, it will need to be a full account. If you've enjoyed this series or if you have any comments, feedback, questions or thoughts on how these processes could be improved, please let me know in the comments. Hi Matin- Bamboo does actually support setting triggers for branch builds that are different from master's triggers. I've installed Jenkins on my local build server and I'm trying to get it to poll bitbucket for changes to my repo and I can't get it to work as I'd like. Add a Webhook, as above given in the picture. I've had pretty good success with this plugin, but it has not been perfect. 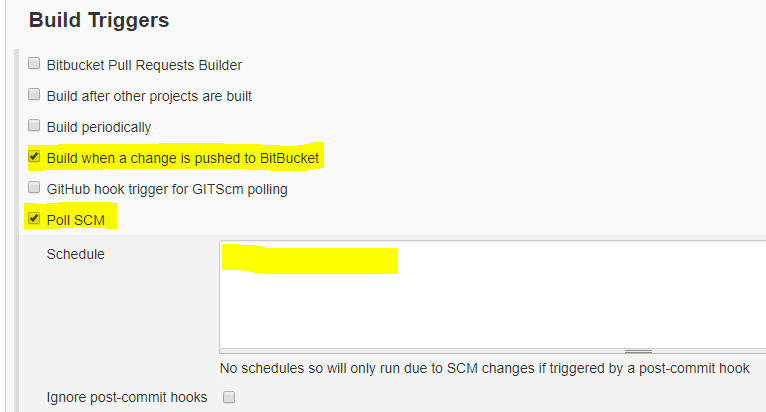 It is possible to build when a change is pushed to BitBucket even when Jenkins is in localhost? Below is the list of extra plugins that I selected to install beyond the defaults. I was involved mainly in Manual Testing, Writing Test Plans, Updating Release Notes, Documentation for the same. This will likely lead to extra pipeline builds on other branches, but I think once we have this feature we can work out how to suppress those. You can leave the schedule field empty, so repository is polled only when the plugin triggers it. The instructions on this page were updated to reflect that. With that is working really well and I avoid another plugin installation in my Jenkins. Perhaps related to the recent changes Altassian did with their login flow. I hope it will help you. Additionally I have fixed another issue with. You can set a long time interval for the poll, e. In addition, this plugin uses trigger functionality as defined by the branch-api-plugin, which does not offer all the standard freestyle triggers. Create a Post-WebHook, which is different from WebHook and enable on push. This is an optional step, but I highly recommend it. You shouldn't need to do anything.